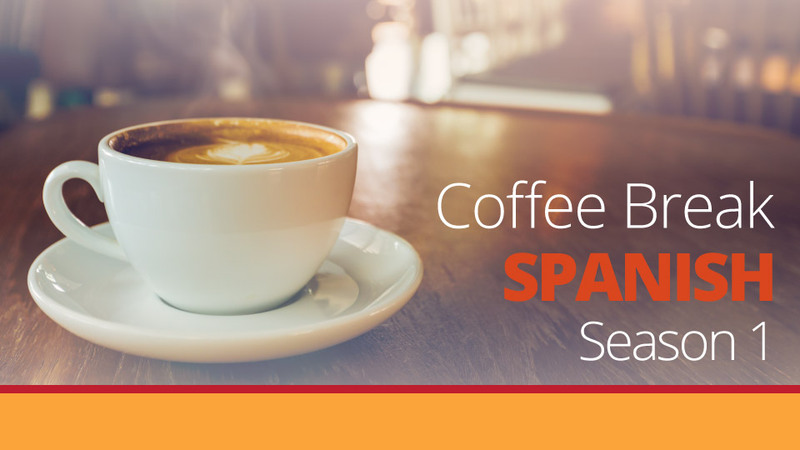 In this week’s lesson of Coffee Break Spanish, Mark and Kara return after a few weeks off. The topic for discussion is the weather, and listeners will learn not only some useful phrases for talking about the weather, but Mark will explain the constructions behind these phrases so that listeners can build on these in the future. 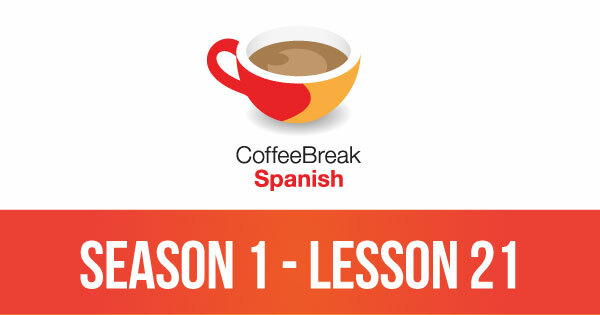 Please note that lesson 21 of Season 1 was originally known as lesson 121 of Coffee Break Spanish. We have renumbered the lessons of each season as lessons 1-40 to make things more simple for our listeners. I am enjoying this series very much. I find pace to my liking. Mark and Kara, I am still completely hooked on the show! It just gets better and better, and I really appreciate the special cultural programmes you put together for us, as you did in lesson 20. Coffee Break Spanish has also done wonders for my home exercise routine. It just so happens that I started listening to the show at a time when I started becoming a bit demotivated in using exercise bike. By now, I have set myself Coffee Break Benchmarks – repeated listens and then a new lesson, all on the bike. I’ve been able to reach each new goal I’ve set for myself with the help of the show. Thank you again so much! I simply cannot thank you enough. Radio Lingua! My favorite way to learn a language! A question on Lesson 21 please. Why is there no article before: ( Es) Va a hacer nevar or (Es)hace llueva. Jennifer, we say “Va a nevar” and “nevar” is a a verbs, so no article needed. Va a = is going to + never = to snow. In the “hace” examples we don’t use articles because there ‘sol’ and ‘lluvia’ are used as undefined concepts. In English is the same, isn’t it? “there is rain”. ‘La lluvia’would refer to an specific kind of rain ‘there is the God’s good rain” = “llueve la lluvia del buen Dios”. Typing on my phone made me post with a couple of errors “is a a verbs” :S I’m sorry.